Double click the Add New on line 6 to add a new in-kind contribution as seen below. Select the name from the drop down list. If a name record has not been created select the Add New Name button to prompt a new “Name Information” tab to create the name record. 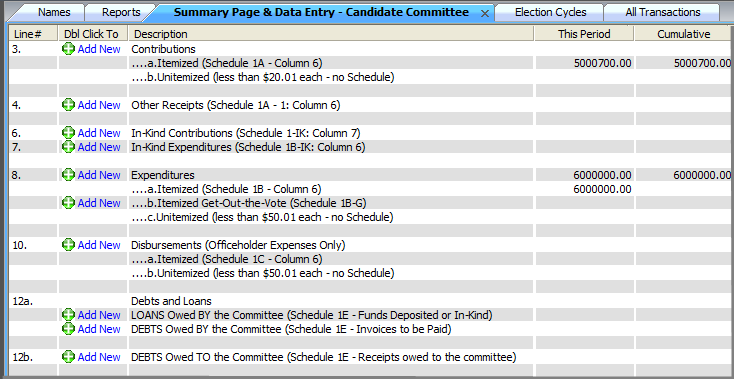 Continue to add the date, amount and description of the contribution received. 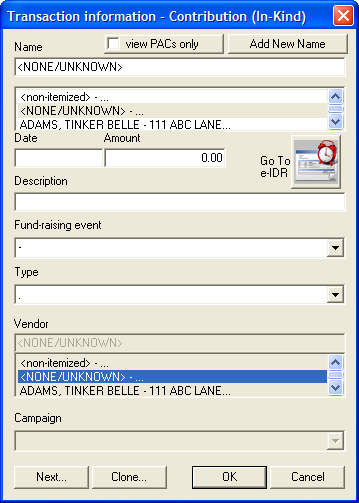 If the in-kind contribution was associated with a fund raising event held by your committee click the Fund Raising Event drop down to select the appropriate event.